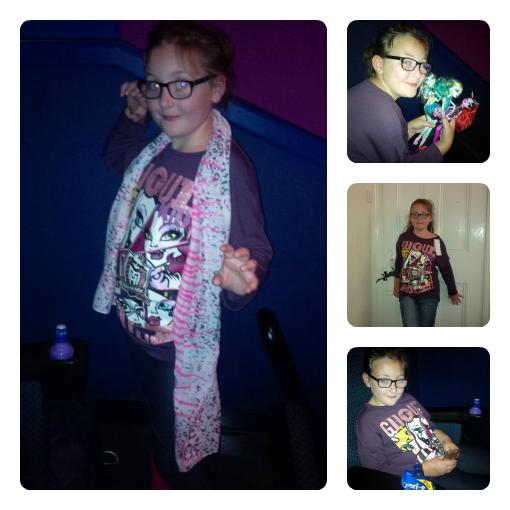 Last week I took Olivia to see the new Monster High film Freaky Fusion. She is a massive Monster High fan and she had been looking forward to this for a long time. So I thought I would get her a Monster High top I came across in Tesco’s, the same shop featured in my last Trendy Tot post. I actually paid full price for this top! No sale or bargain just normal rrp *shudder* but with all the other money I saved on the the other clothes I bought I thought why not!